I am sharing this post in partnership with StarKist Selects E.V.O.O. As always, all opinions are my own. I appreciate you supporting both me and the brands that allow me to create quality content for you! This 10-minute spicy tuna rolls recipe is an ultra low-carb and nutrient-dense meal option that feature one of my favorite keto- and paleo-friendly products, StarKist Selects E.V.O.O. Wild-Caught Yellowfin Tuna! This 10-minute spicy tuna rolls recipe is full of diverse flavors that will impress your palette yet won’t require hours of effort in the kitchen! Ready in 10 minutes, these spicy tuna rolls have become a household favorite of ours! These spicy tuna rolls contain only high-quality ingredients that are sure to keep you full, focused, and energized throughout your day. Each component of this 10-minute spicy tuna rolls recipe serves a purpose: depth of flavor and nutrient-density. 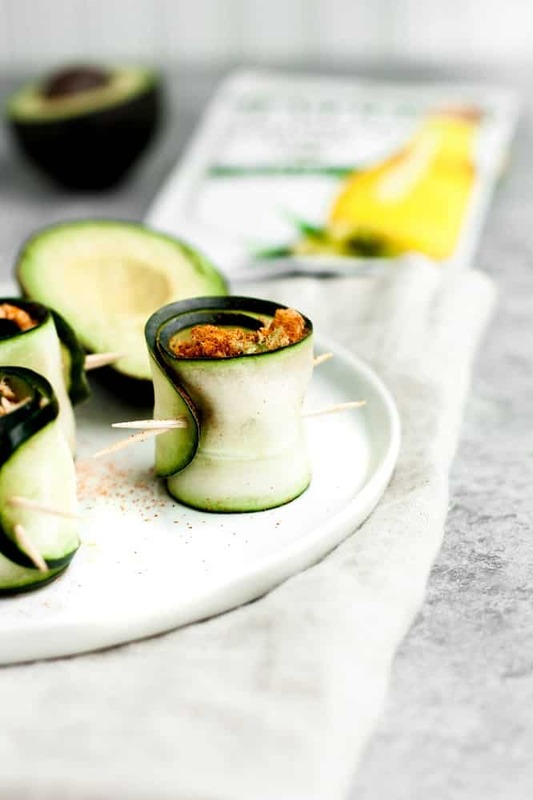 Cucumbers are crisp, fresh, and anti-inflammatory and can actually help you stay hydrated due to their high concentration of water! StarKist Selects E.V.O.O. Wild-Caught Yellowfin Tuna is high in protein and packed in cold-pressed extra virgin olive oil, a healthy fat that is both satiating and delicious! 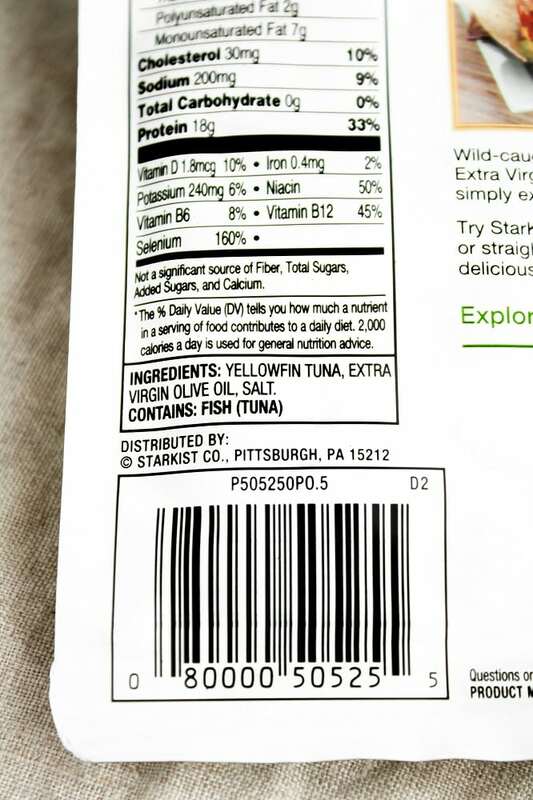 Plus, quality tuna, like that of StarKist Selects E.V.O.O., is high in selenium, iron, magnesium, and potassium, all of which are essential to a healthy and balanced diet! Along with hot sauce, cayenne pepper is what gives these tuna rolls their kick! Cayenne is a fantastic ingredient to include in recipes as it spices up a dish while also providing vitamin C, vitamin B6, vitamin E, potassium, manganese, and flavonoids! 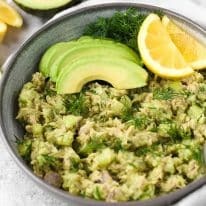 Not only do avocados provide a creamy and fresh flavor in this recipe, they are a powerhouse food! High in healthy fats, fiber, and potassium, they are a fruit (yes, a fruit!) that is a staple in many keto and paleo dieter’s lifestyles for good reason! This recipe, like that of my Avocado Tuna Salad, features StarKist Selects E.V.O.O. Wild-Caught Yellowfin Tuna pouched tuna that elevates these 10-Minute Spicy Tuna Rolls to the next level! As someone who tries to incorporate products with wholesome ingredients into my diet, I am always so impressed by these StarKist Selects E.V.O.O. pouches. 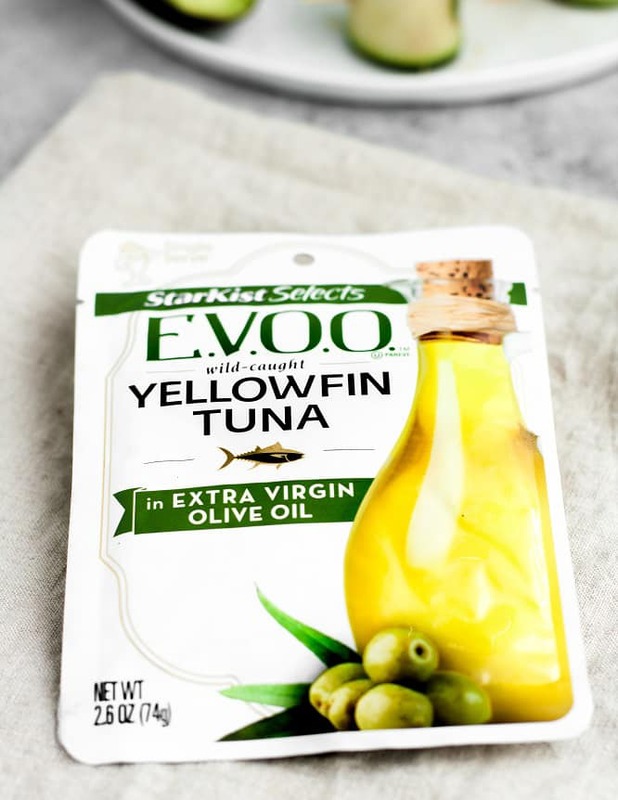 Unlike a majority of other pre-packaged tuna products, StarKist Selects E.V.O.O. Wild-Caught Yellowfin Tuna contains only three simple ingredients: wild caught yellowfin tuna, extra virgin olive oil, and salt. That is all you could ever want from a shelf-stable product! In addition to these spicy tuna rolls containing only real food ingredients, they are also incredibly allergy-friendly and diet-friendly! Keto and Low-Carb: One serving of these 10-minute spicy tuna rolls contains only 0.6 grams of net carbs per serving. Paleo and Whole30: This spicy tuna rolls recipe does not contain gluten, grains, soy, or dairy and is therefore paleo-compliant. Nut-Free: This delicious spicy tuna rolls recipe is nut-free and safe to consume for those with a nut allergy or nut intolerance. 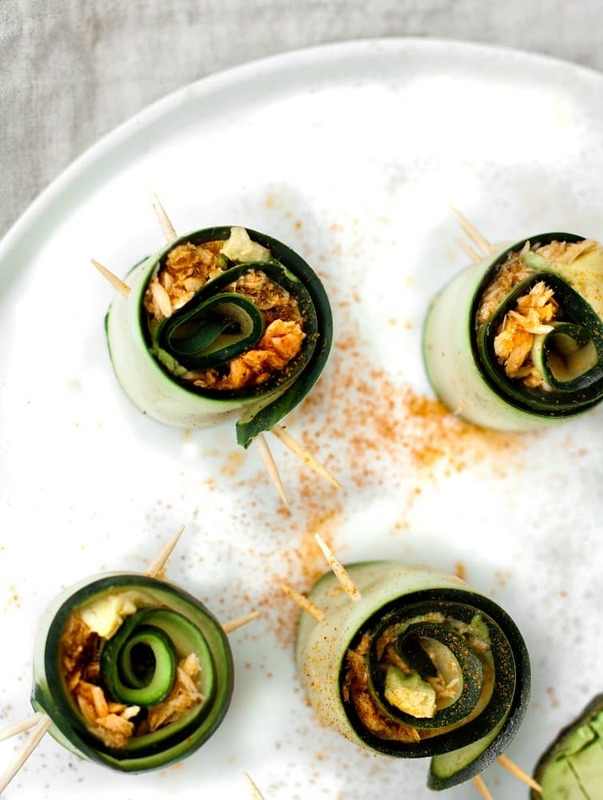 Dairy-Free and Egg-Free: These spicy tuna rolls are made without any dairy or egg products. Gluten-Free and Grain-Free: This tasty spicy tuna rolls recipe is gluten-free, grain-free, and Celiac-friendly. One serving of these spicy tuna rolls contains only 0.6 grams of net carbs. This spicy tuna rolls recipe yields 6 rolls and one serving is 3 rolls. These 10-Minute Spicy Tuna Rolls are keto, low-carb, paleo, Whole30-compliant, nut-free, dairy-free, egg-free, gluten-free, grain-free, and refined-sugar-free. 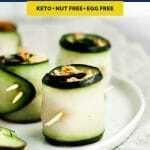 Check my keto-friendly recipes if you are looking for more delicious and healthy Real Balanced ketogenic recipes! 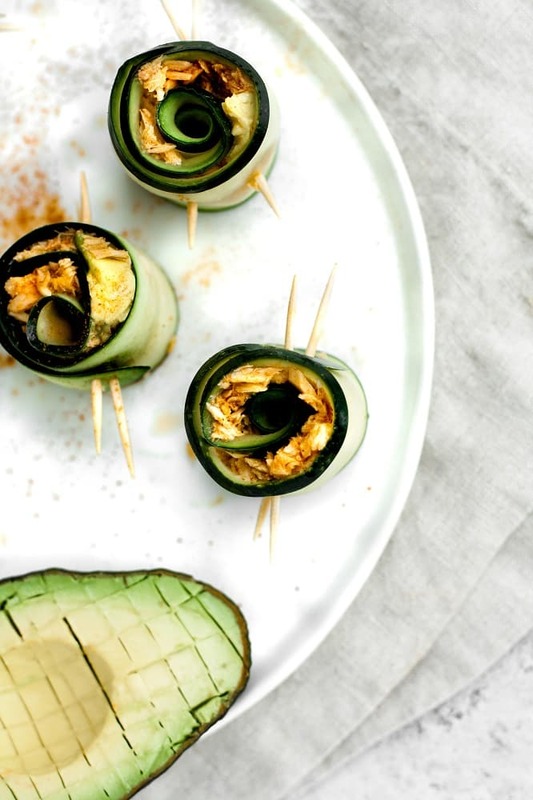 These 10-Minute Spicy Tuna Rolls are a quick, satiating, and nutrient-dense low-carb meal featuring StarKist Selects E.V.O.O. Wild-Caught Yellowfin Tuna! 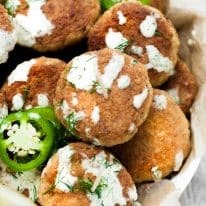 This recipe is keto, low-carb, paleo, Whole30-compliant, nut-free, dairy-free, egg-free, gluten-free, grain-free, refined-sugar-free, and only 0.6 grams of net carbs per serving! Using a mandolin, thinly slice cucumber lengthwise. Once cucumber has been sliced down to where seeds appear, flip cucumber over and thinly slice the opposite side. 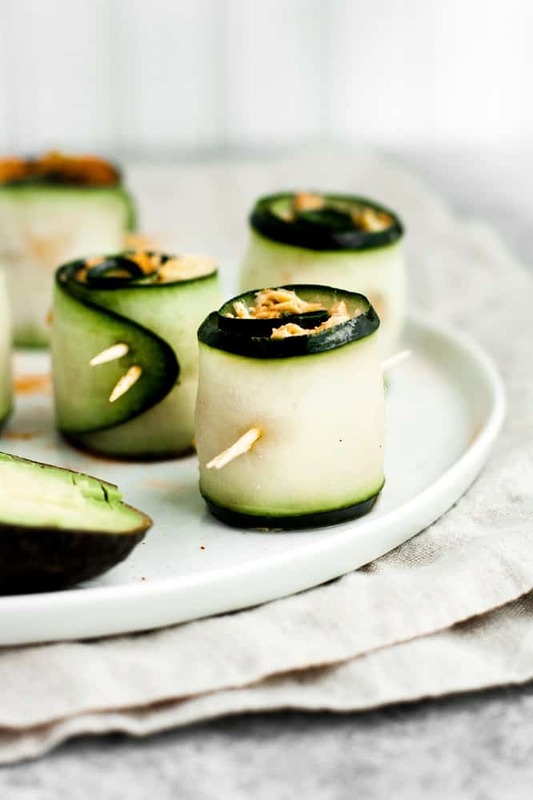 Discard outermost slices of cucumber and any slices where seeds are present. Pat dry the remaining slices (6 total are needed) with a paper towel. Set aside. To a small mixing bowl, add tuna, hot sauce, salt, pepper, and cayenne. Mix until ingredients are thoroughly incorporated. One slice at a time, spoon tuna mixture across cucumber slices, leaving one inch on each side. 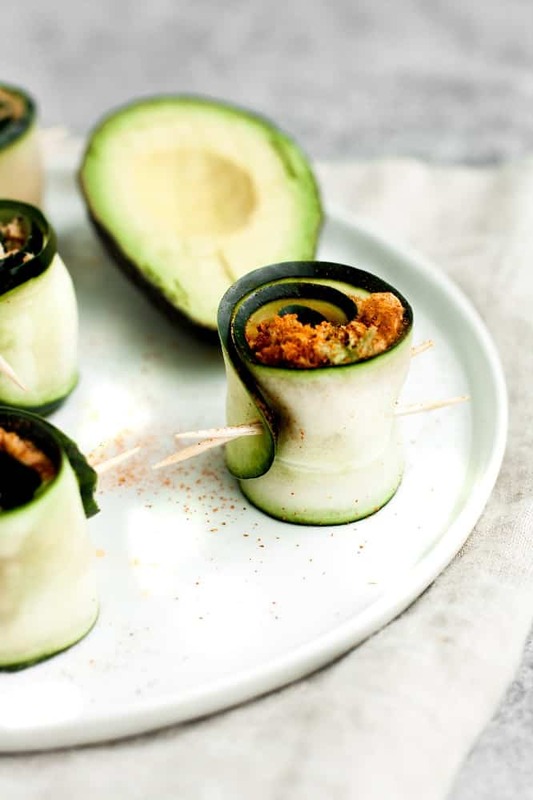 Place one piece of avocado on top of tuna and carefully roll cucumber up, securing the end with 2 toothpicks.